On the 20th April 2014, Catholic and Orthodox believers celebrated together one of their most important religious events of the year – the Easter holiday. 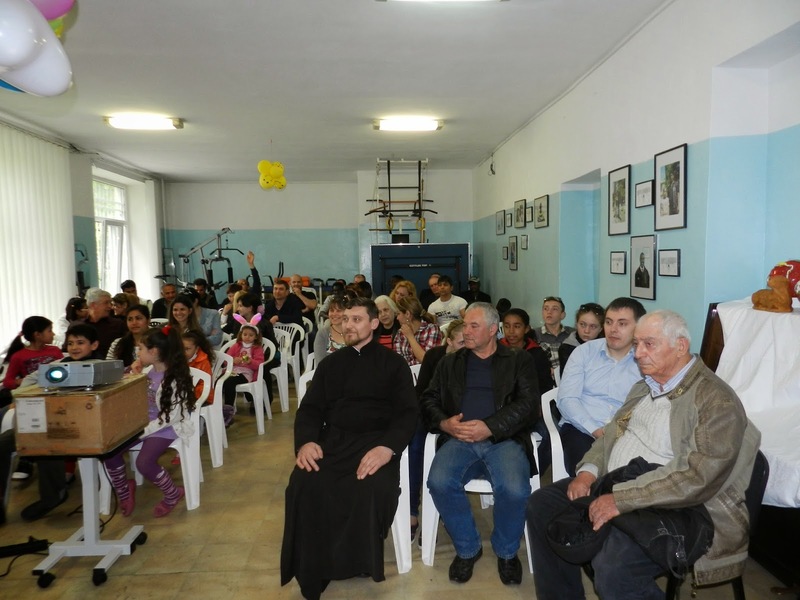 To commemorate this occasion the Charity Centre for Refugees (CCR), in collaboration with the Metropolis of Moldova, organised an exciting and enlightening event for its partners, guests, refugees and asylum seekers. 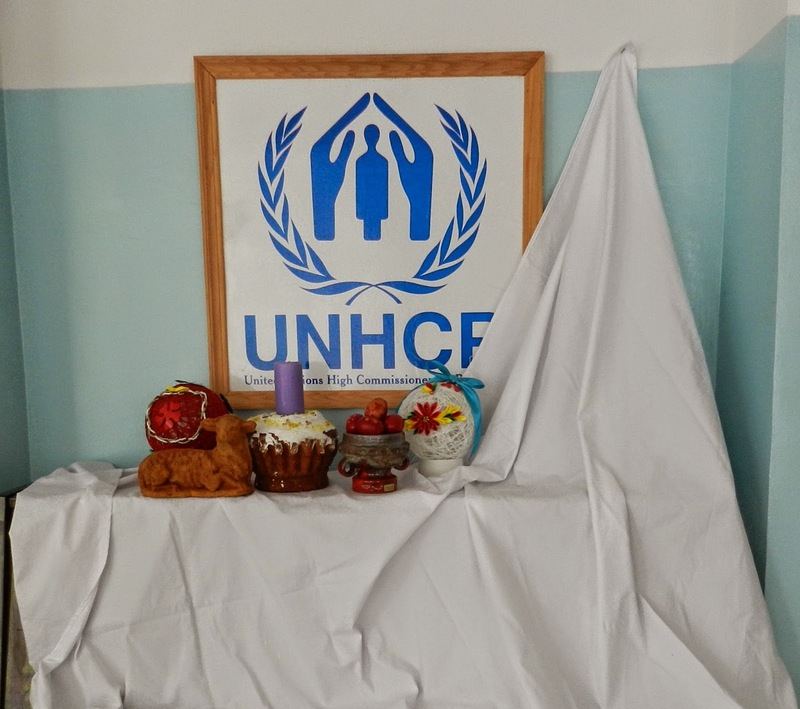 The Easter celebration began with a formal welcome; the CCR Director, Mr. Djavid Paknehad and the UNHCR Programme Officer, Mr. Dinu Lipcanu, wished all attendees peace, joy and cheer. 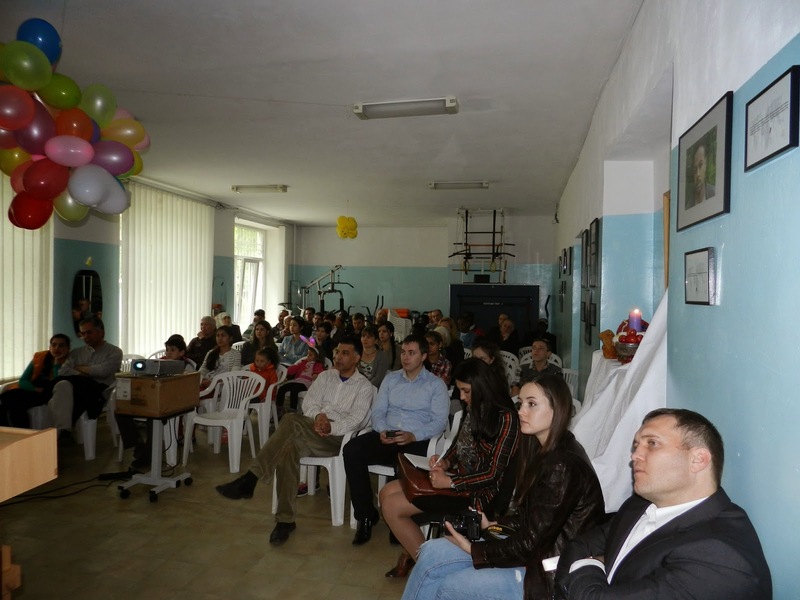 The event proceeded with presentations by CCR staff and volunteers about Moldovan Easter traditions. After, refugees and asylum seekers took part in a short quiz. Correct answers were rewarded with small gifts – hence why many children were active and willing to participate in the contest! 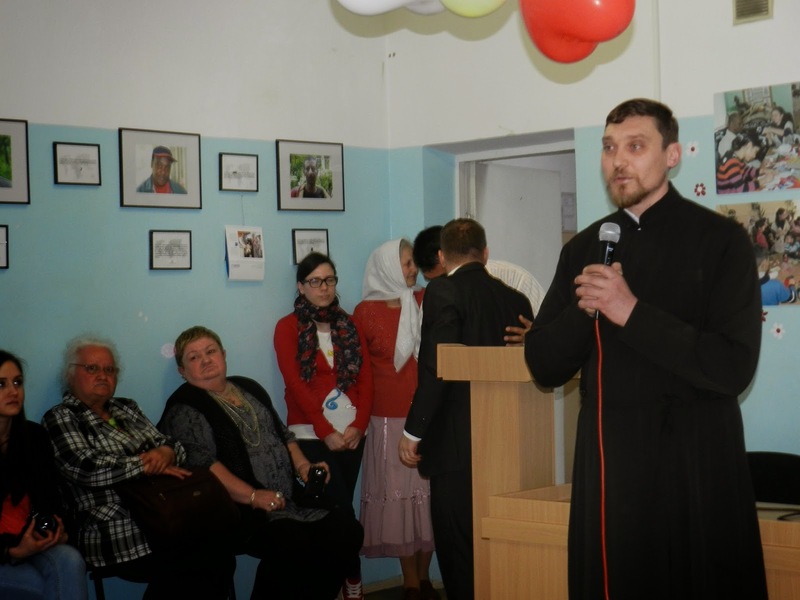 But the most special part of the event was the speech from the priest, Father Constantin, designated by the Metropolis of Moldova. He talked about the spirit of the Easter celebration and Christian values,​​ with refugees and asylum seekers having the opportunity to ask him lots of different questions. The discussion touched upon various aspects – the Christ’s Resurrection, Easter traditions, the meaning of Lent, the Holy Fire and many other topics related to Christianity. 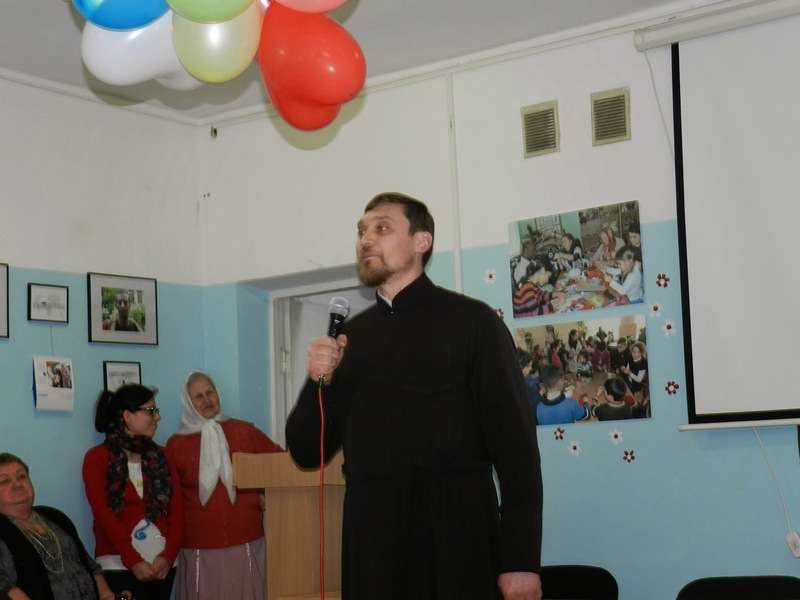 Moreover, Father Constantin told the story that 12 years ago, when he was a student at the Faculty of Foreign Languages at the Moldova State University, he had had the possibility to visit the Charity Centre for Refugees and participate in an event as a translator for refugees and asylum seekers. Father Constantin was very glad to remember that memory, but was even prouder now to be celebrating Easter with the refugees and asylum seekers in his present capacity as a priest. 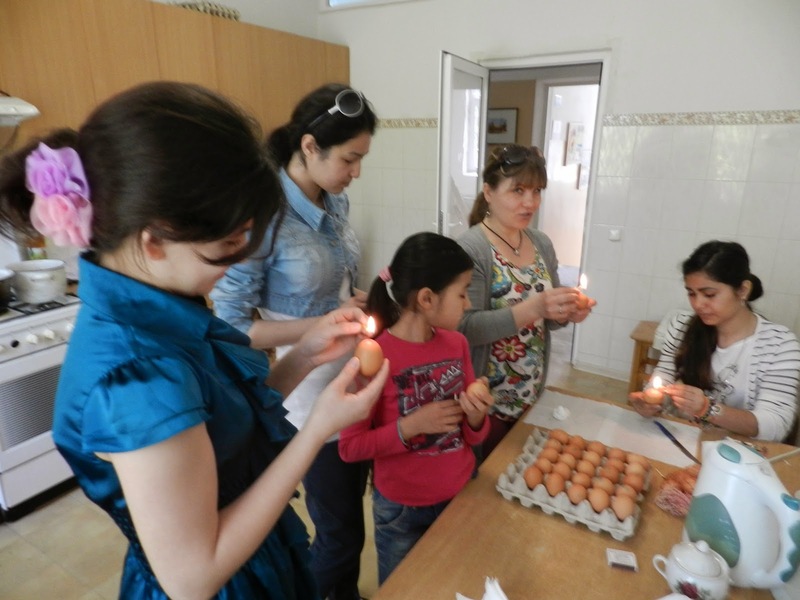 In Moldova, Easter is a holiday of great importance. 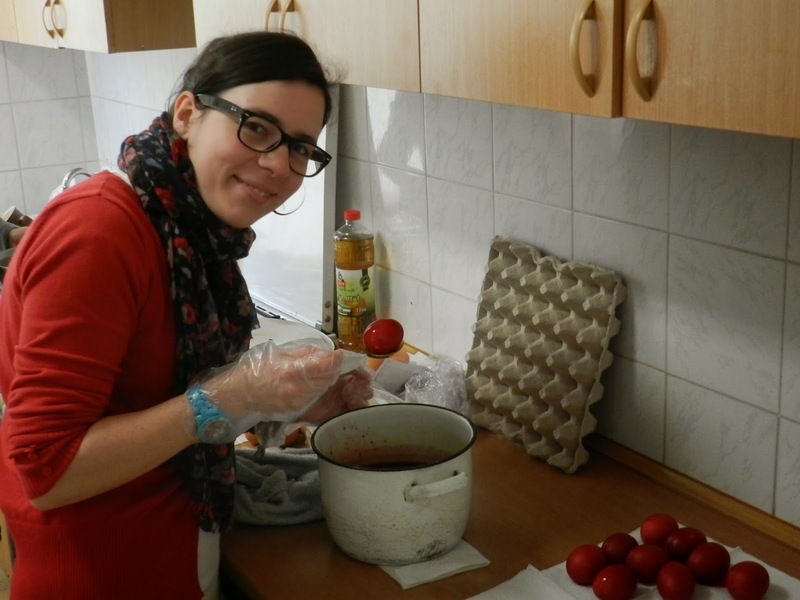 After a 40-day period of fasting, Moldovan people celebrate Easter with various traditions: dyeing eggs in different colours, preparing a variety of meals and baking Easter cakes and bread. This food is then often sanctified by a priest. 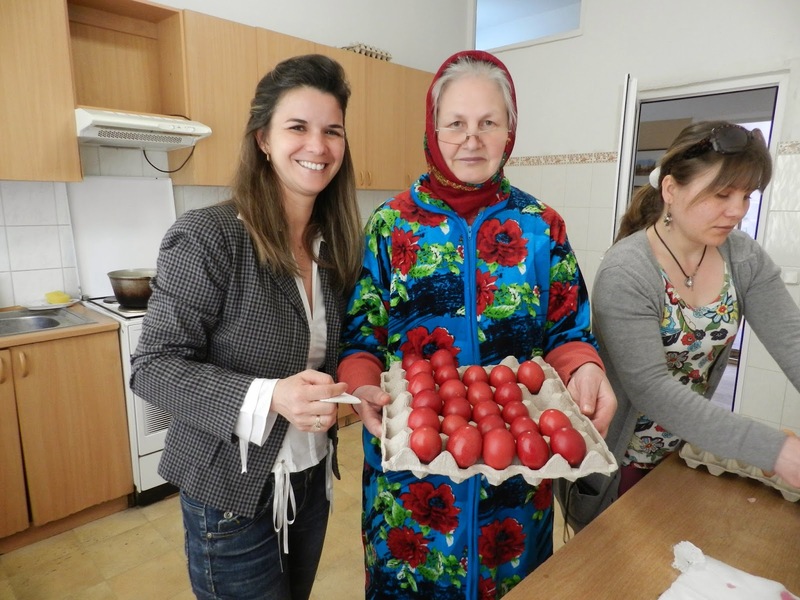 In order to familiarize beneficiaries with these traditions, CCR invited refugees, asylum seekers and local women and children to help with dyeing some eggs. 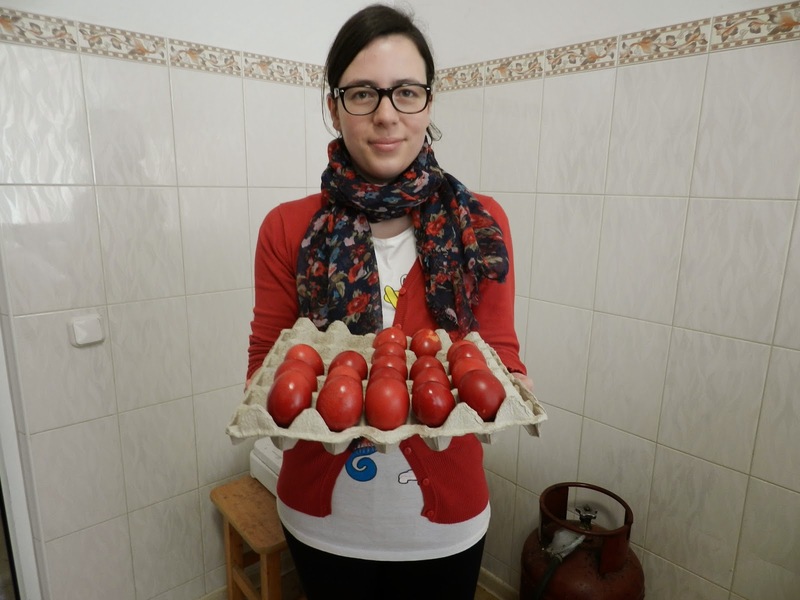 Together with the Centre’s staff and volunteers, they dyed eggs red, yellow and green and applied many different decorations and patterns. At the end of the celebration, everyone was invited to an Easter table filled with lots of different dishes and sweets. 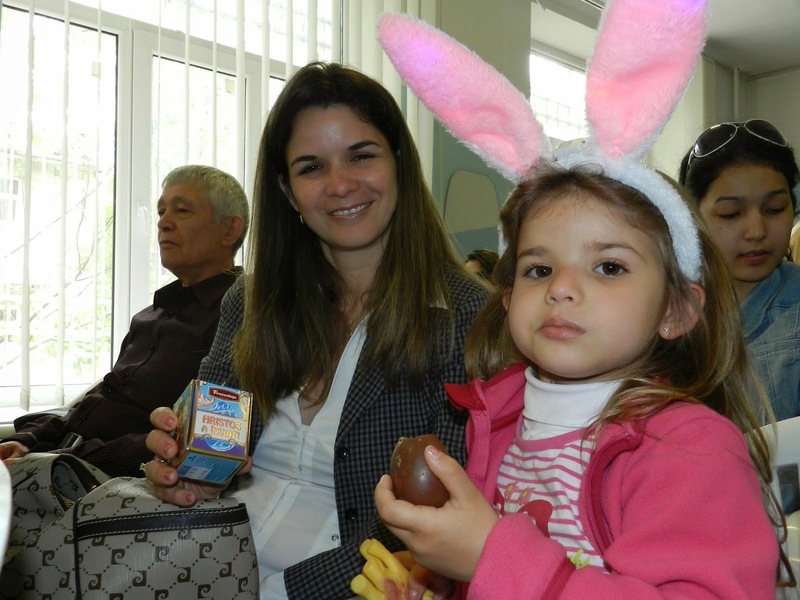 The event finished with the distribution of Easter cakes and coloured eggs amongst the attendees. 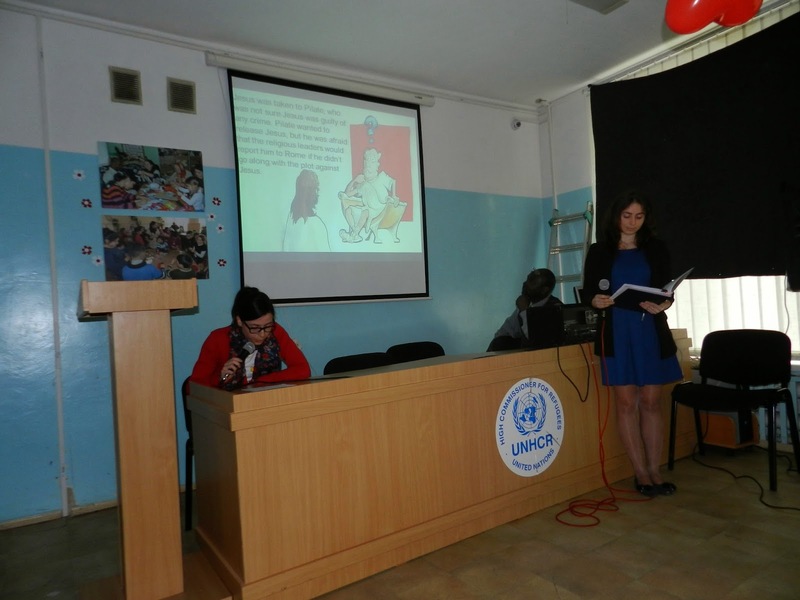 The presence of UNHCR Moldova and its implementing partners gives great importance for this event. 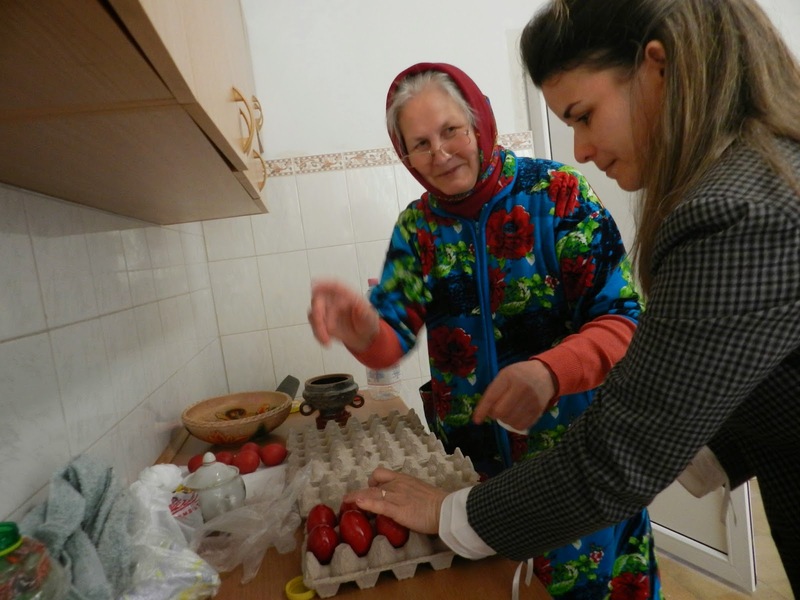 Because it is significant to familiarize refugees and asylum seekers with local traditions, which eventually will help them to integrate more easily in Moldovan community. CCR are thankful to all partners, refugees, asylum seekers, local people, volunteers and staff for their participation and support during this Easter celebration.